Yes Lord I know we needed the rain…..couldn’t you have at least spread the bounty over many weeks rather than this past 8-10 days….? I did wade out into the garden to gather up some cherry tomatoes for my daughter. My tomatoes are swelling up and splitting! I snack on a few of those immediately as the they go bad fast and the fruit flies just materialize out of thin air to their damage. I want to get out and ride the bicycle a little this week and have only been able to sneak in one decent ride and a couple of runs to the store on the bike with the shopping bags…. I can get about 4 grocery sacks in the panniers without overdoing it. On one of the grocery runs it began to rain and I had to pull up under an overhang in front of the local grill, “Three B’s”. While waiting out the rain I had a St Arnold’s Double IPA – very nice. FYI – St Arnold’s is a local Houston craft Brewery that is garnering a great reputation. The wait was about a pint in length and then dash off to the house before the next shower. While it is raining I have been reading through the current issue of the “Urban Farm”. Two articles were of perfect timing. One was concerning the resurgence in home canning. It fit very nicely with my efforts over the past several weeks. Jams, pickles, salsa, spaghetti sauce and some uncanned but frozen tomato and cucumber gazpachos. The family really enjoyed the salsa last night…..a lot like Pace Picante sauce made right here in Houston. Article was written by Lindsay Evans living in rural North Central Washington. The second article of interest was about trench composting. Seems like a great way to get nutrients into he soil in an easy and straight forward way. Let mother nature and her earthworm and microbe warriors do the heavy lifting…. I will consider the method as the beds begin to ready themselves for fall and winter plantings. An option for smaller amounts is to use an auger and drill a hole to be filled with kitchen wastes… I have a post hole digger that would accomplish the same thing. Article was written by Jessica Walliser – Pittsburg, PA composter by trench and bin. 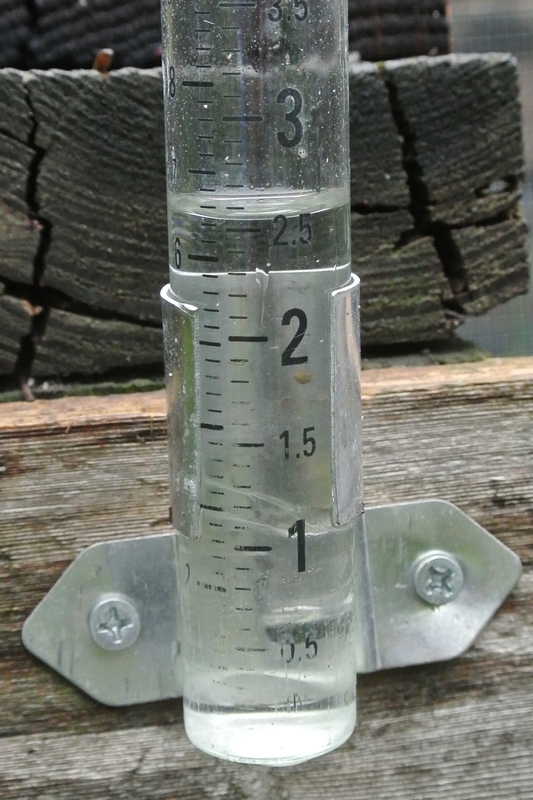 2.5 + inches of rain this morning – over 6.5 cm for those that know how to measure uniformly and more on the way! LIke the composting ideas thanks !